Nov. 19, 2006: Sunny and cold, Water Temp 54* and muddy. Picked clients up and went uplake to catch Gizzards. The lake was high and muddy due to the high winds and rain from this week. Ran Planner boards and free lines over 10' flats today. Tried other depths and saw lots of fish in the 15 to 20' ranges but only got hits over 10' flats. 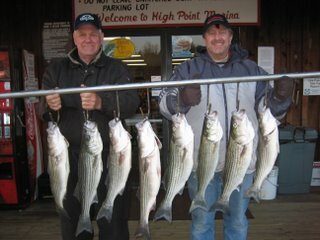 Had 15 strikes today and clients kept 8 Stripers. 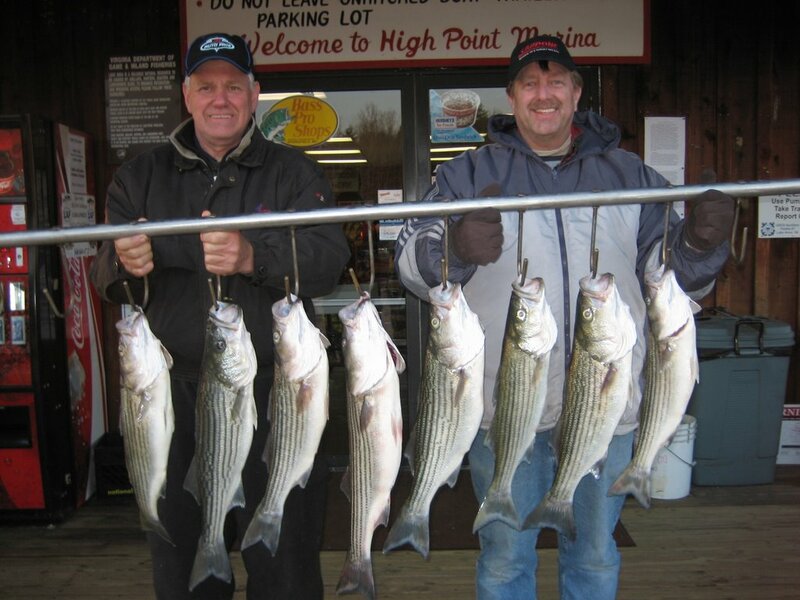 Can't wait for the lake to get back to normal pool and clear up so we can fish where the big 'uns are.